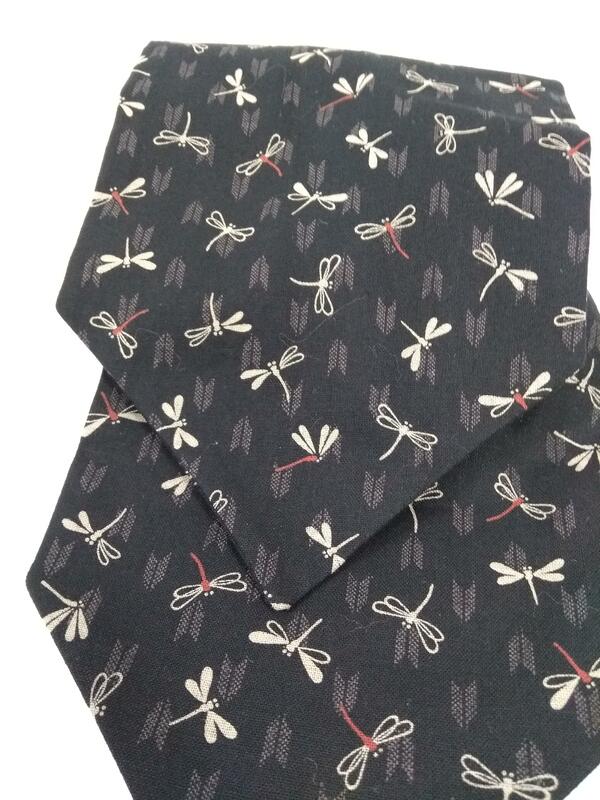 A lovely dragonfly Ascot cravat handmade by us in our workshop in Reading, UK. 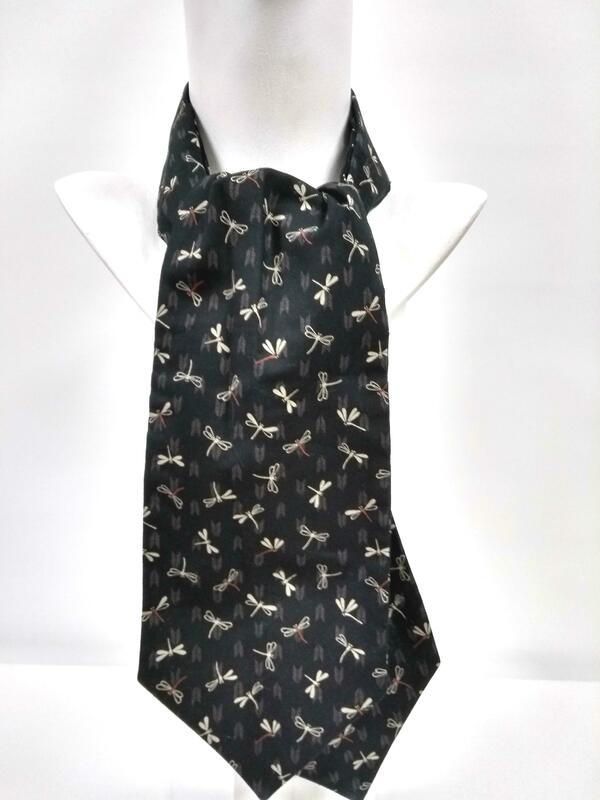 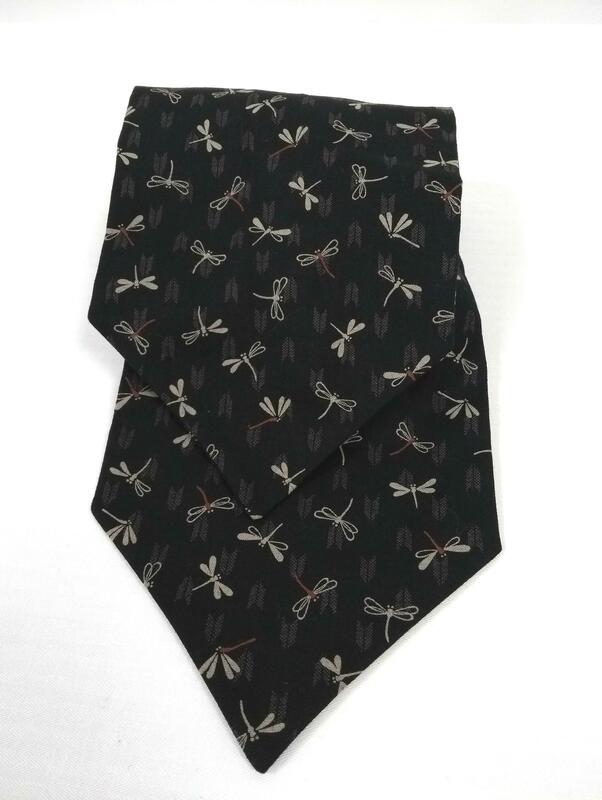 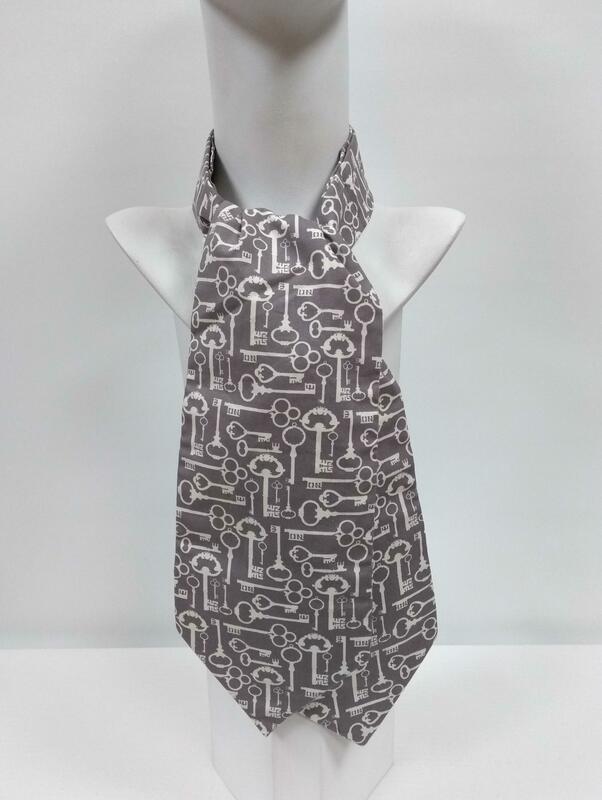 This cravat is made from a black with beige and red dragonfly printed cotton. 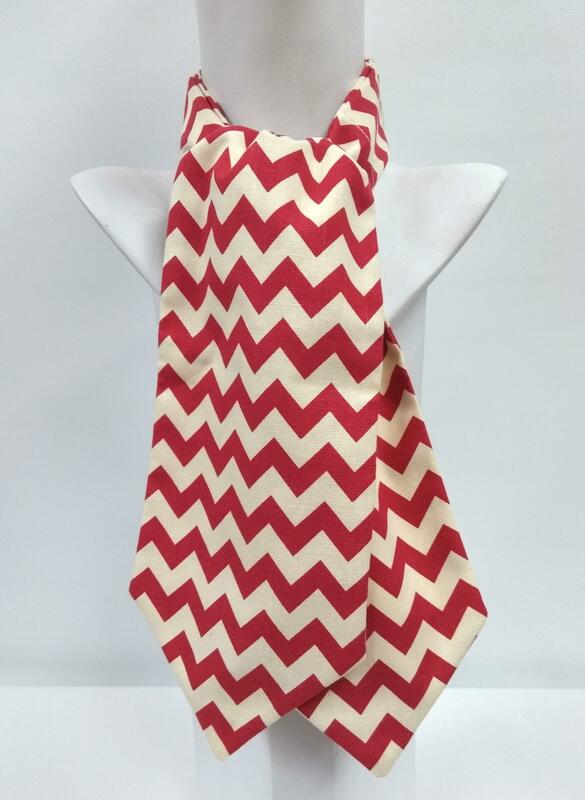 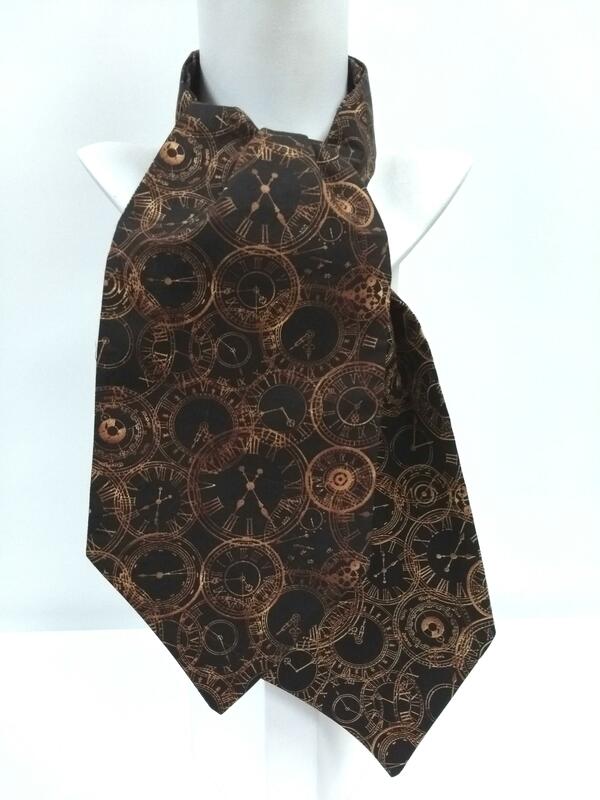 This is a comfortable to wear and easy to tie cravat.